Hello. I've updated the roster for 2016. No one who is currently on a team was removed, so there is no need to relaunch or re-pick teams, all the new people will be considered free agents. Also, per the poll, we are adding a women's title. So, add a woman to your team. If you already have a woman, feel free to add another dude. Below you will find the teams as they currently stand. Post 3 is the full roster. So I guess I'll be the first one to add a woman to my team so I'll take Mia Yim and while I'm at it I'm gonna replace Trent Baretta with PENTAGON JR. Team Vipes is happy to welcome Kana as our female representative. And also, after his disappointing showing on New Years Eve, Bruiser Brody is going to begin 2016 unemployed. 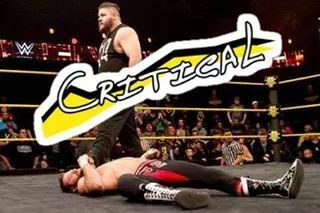 In his place, we hire noted surly fat guy Kevin Owens. I have added the Princess Kimber Lee to team Skiff.